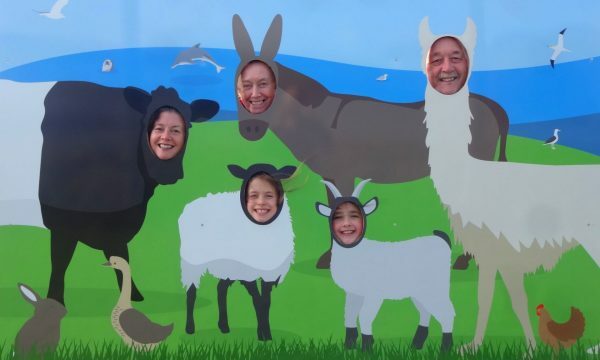 At Cardigan Island Coastal Farm Park we are very much a family affair, run by the owners Lyn and Ellen Jenkins together with their daughter, Joanne, and her husband David, while their two children, Cerys and Megan, are always keen to lend a helping hand. 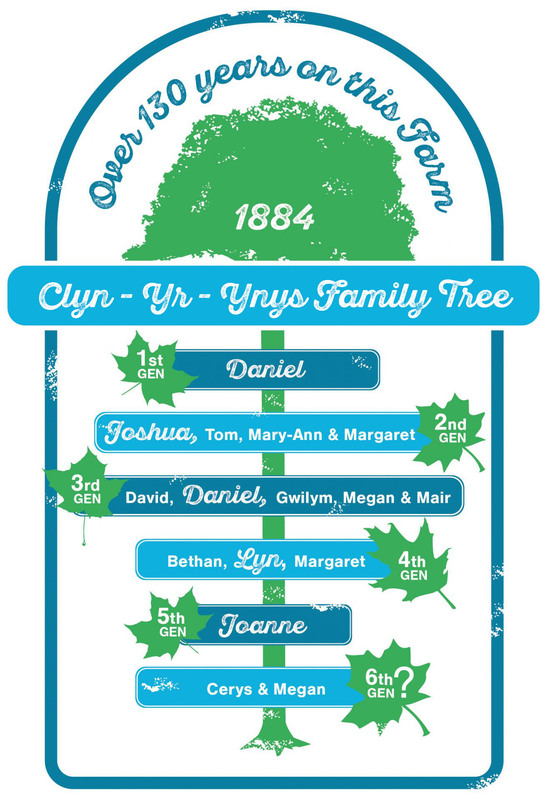 Our family has farmed within the Cardigan area since the 1600s, but first came to the 217 acre Clyn-Yr-Ynys (“Meadow of the Island”) farm in 1884 when Daniel Jenkins leased the land from a local estate, and followed a traditional mixed farming system. Daniel’s son, Joshua, purchased the farm in 1918, so Clyn-Yr-Ynys has been in our family’s ownership for over 100 years, through five generations and counting. From the late the 1970’s we focused on growing new potatoes, and in 1982 Lyn bought the adjacent 123 acre farm along the coast in order to expand production. However, increased imports, the advent of crops grown under plastic in England offsetting our early Spring advantage, and supermarkets driving down prices meant that by the early 1990’s farming new potatoes was no longer viable here. Farmers were encouraged to diversify in order to survive, so in 1993, with the support of the local council, Lyn and Ellen opened part of the farm as “Cardigan Island Coastal Farm Park”. As visitor numbers have grown so has the Farm Park. From a simple turnstile along the clifftop costing just £1 to use, the entrance was moved up to the current farm house where we served teas, coffees and homemade cakes, until in 2004 the visitor centre was opened with a full café, gift shop and outdoor play area. The campsite was added in 2011, allowing visitors to stay a little longer and enjoy the glorious sunsets.